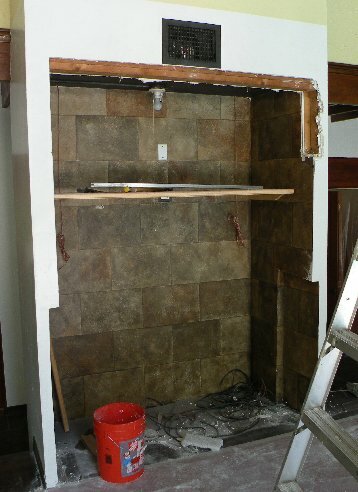 Custom built in cabinets, custom kitchen cabinets, leather panel cabinets, custom cabinets, custom TV cabinets, custom media cabinets, custom wardrobe cabinets, custom closets, architectural woodworking for kitchen, libraries and media rooms. 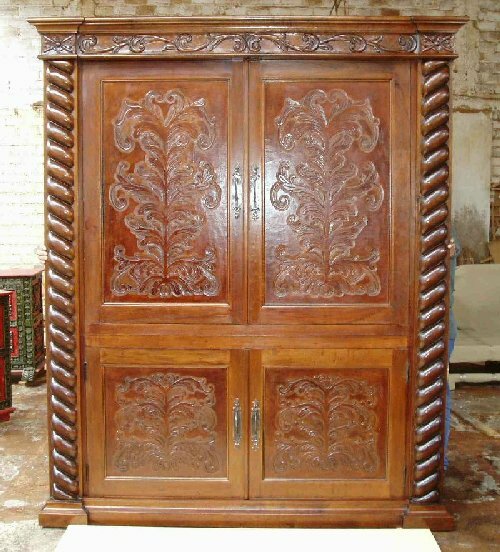 Residential cabinetry, commercial casework, custom cabinets in Italianate, Spanish Revival, Spanish Colonial, Tuscan, Old World, Renaissance, Rustic, Italian Villa, Mediterranean, Gothic, Medieval, Monterey, Classic Western, and Cowboy chic designs. 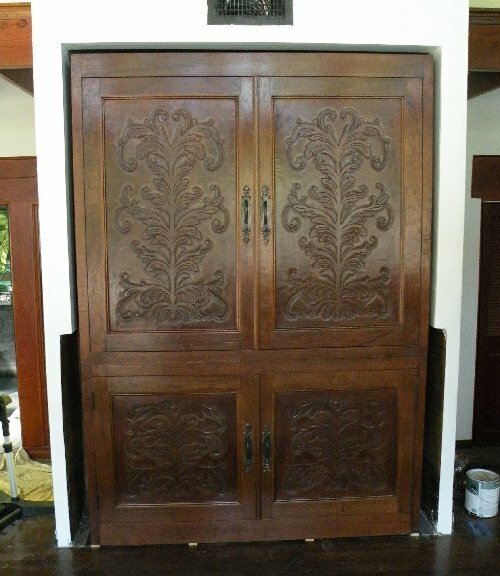 Specializing in designs featured in books like Casa California: Spanish-Style Houses from Santa Barbara to San Clemente, California Romantica: Spanish Colonial and Mission-style Houses, California Colonial, Monterey: Furnishings of California's Spanish Revival, Red Tile Style, Hacienda courtyards, Spanish Houses: rustic Mediterranean Style, Casa Mexicana Style. Montecito Collection, furniture style for celebrities and wealthy business people who own Montecito homes and large estates. 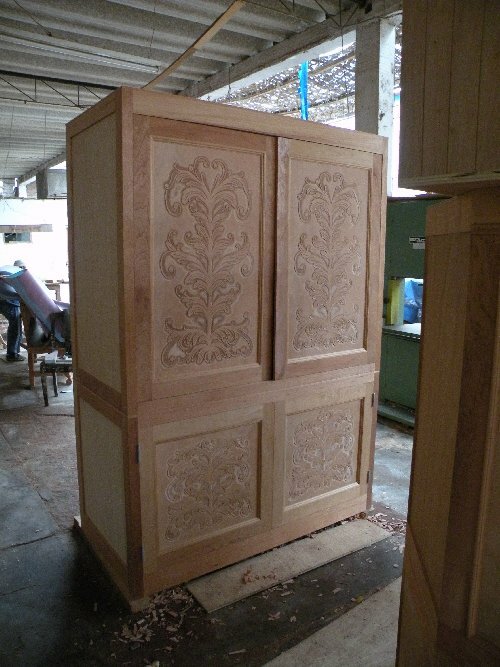 An Ebanista is a carpenter and craftsman who manufactures furniture and panels in wood. Puede producir por unidades o en reducido número. He can produce individually or in small numbers. El ebanista es, sobre todo, un artesano . The carpenter is, above all, a craftsman . 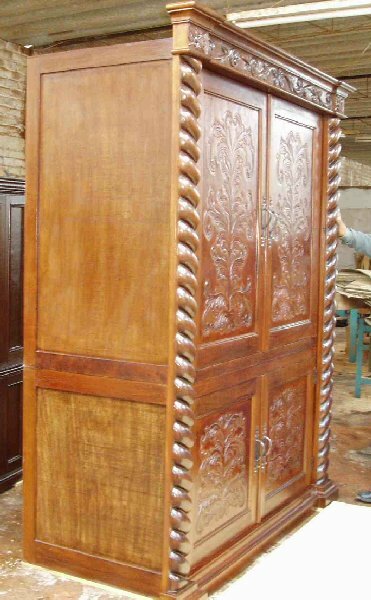 Los muebles fabricados por los ebanistas pueden ser de estilo antiguo o creación contemporánea. 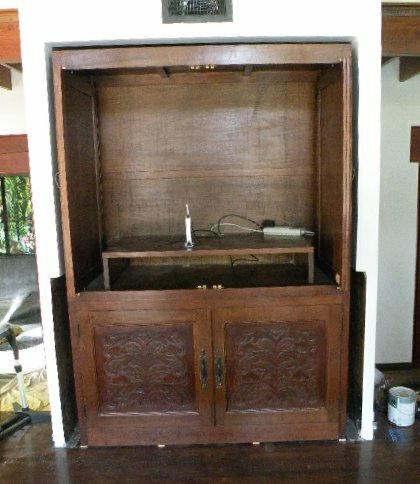 The furniture made by cabinetmakers may be old style or contemporary creation. 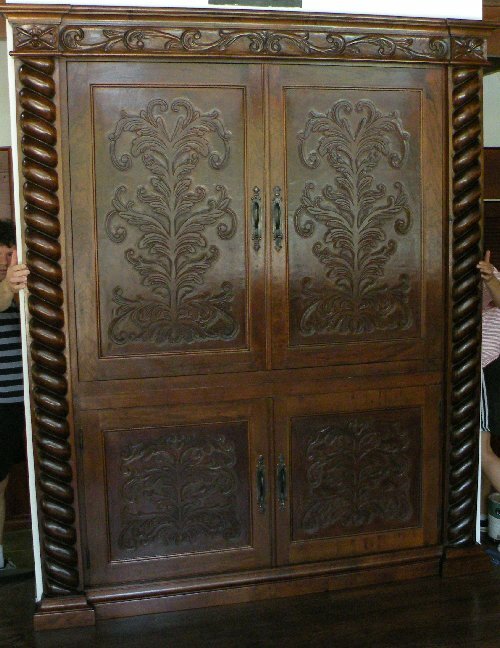 Carved leather panel doors on 2 piece cabinet. Perfect for old world homes and contemporary style. 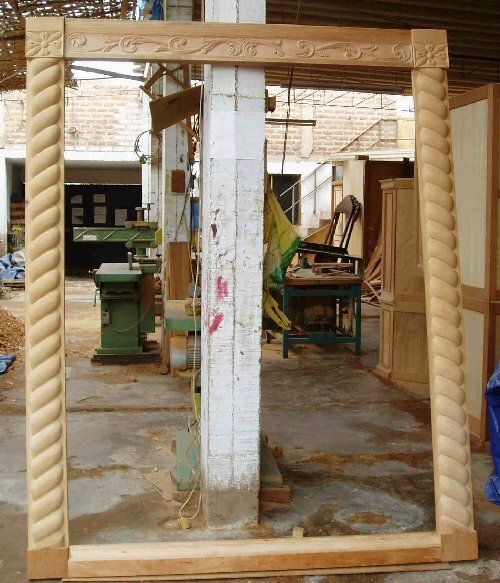 Hand carved cedar molding to be installed on site.